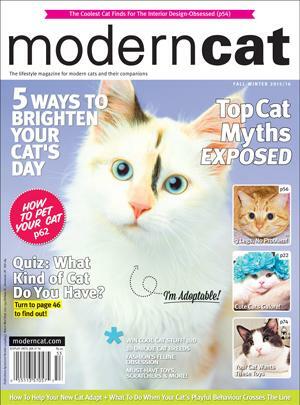 We couldn’t be happier to find ourselves in the pages of the Fall/Winter 2015/16 edition of Modern Cat Magazine not once, not twice – but three times. If you are seeking information about custom work, visit the commission information page. 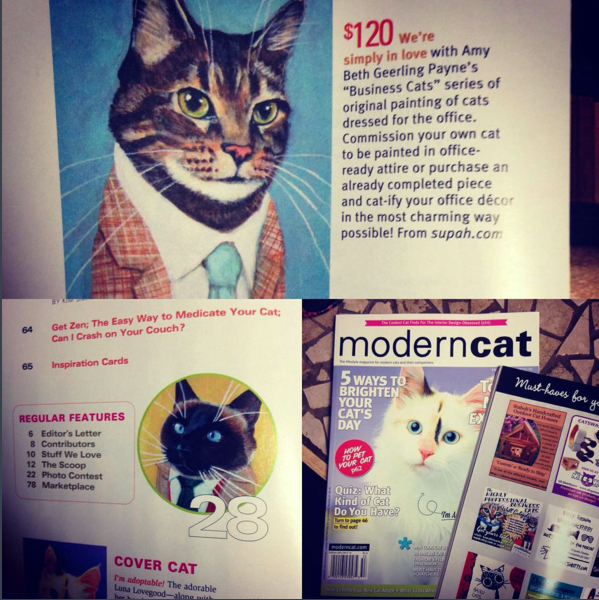 If you came to shop for prints, calendars and gifts directly from the artist, visit The Supah Market or our Etsy shop.